The Synthesizer Sympathizer: Going forward to go backward: Will Roland's AIRA series be a major hit or total miss? 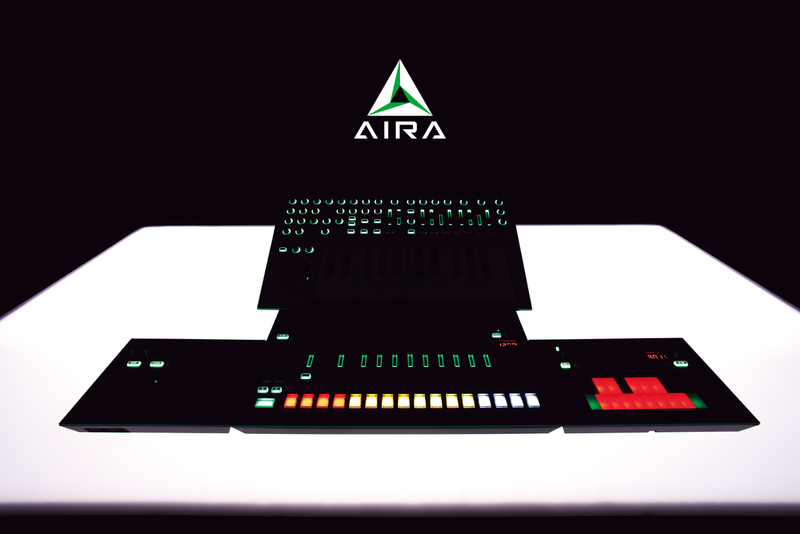 Going forward to go backward: Will Roland's AIRA series be a major hit or total miss? Rumors have been bouncing around on what Roland's new AIRA series could be, but I've been staying off the topic since Roland's mysterious unveils have not been what the synth community wants. Furthermore, the initial news that the AIRAs would be digital quickly crushed the hopes that the line would be analog recreations of their popular 80s analog drum machines and synths, a la the Korg MS-20 Mini. The most recent pictures unveil the true nature of each of the AIRAs, however-- a synthesizer called the System-1, a 303-like synth called the TB-3 Touch Bass, a vocal effect called the VT-3 Vocal Transformer, and a drum machine called the TR-8 Rhythm Performer. The System-1 seems to be knob encrusted, with every standard synth knob accounted for, albeit with a 25 key keyboard. The TB-3 appears to be light-up with a 16 step sequencer and some form of memory (I actually think the look of the keys is pretty cool-- see the picture below). 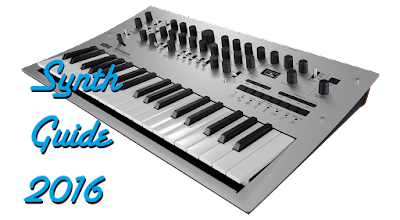 The VT-3 is the most mysterious, with some faders and a large knob with settings like "Vocoder", "Lead", "Bass", and "Auto Pitch'. 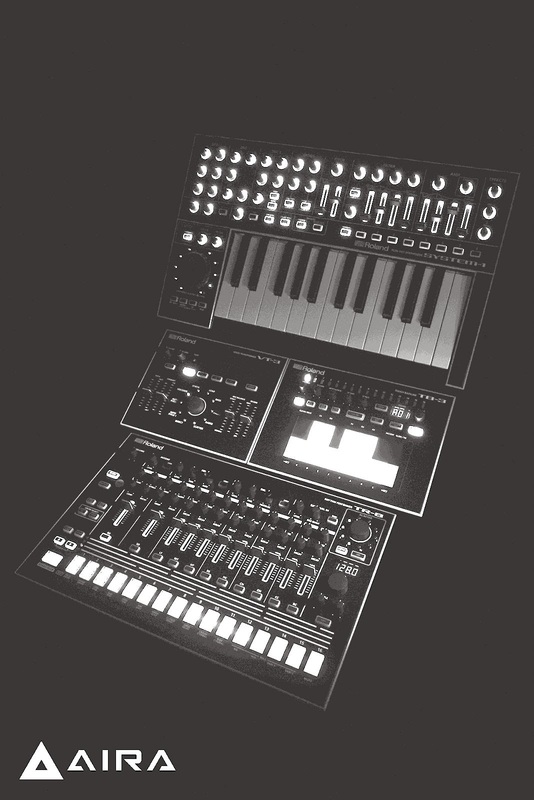 Finally, the TR-8 looks like a drum machine with volume-per-part faders, parameters for each sound, but also with a large knob that looks like it changes sound banks. It's also worth noting it's called the "Rhythm Performer", not "Rhythm Composer" like the traditional 808 and 909, so perhaps it's hiding some nifty performance secrets. So why does all of this matter to me, as a pretty analog-biased blogger? Well, the AIRAs are a new technology for Roland, called Analog Circuit Behavior, or ACB. ACB is not the standard "sample the instrument!" technology we're used to. ACB works by modeling each component of the source of the sound-- so if Roland wanted to do a new 808 kick drum, they wouldn't sample the kick drum at different levels and settings and extrapolate in between those settings-- they would write equations for each resistor, capacitor, and transistor that goes into making the sound on that drum. This same sort of technology was used for U-HE's Diva, which was heavily praised for its ability to capture analog-type sounds all within a plugin. The AIRA series might just have a shot at doing the same, but instead of having this all in your computer, it's locked in the box of each of these new sound modules, with no ties to CPU, and portability, and immediacy for use live. The most troubling question I find myself asking through all of this is, can Roland really do it at a good enough price? 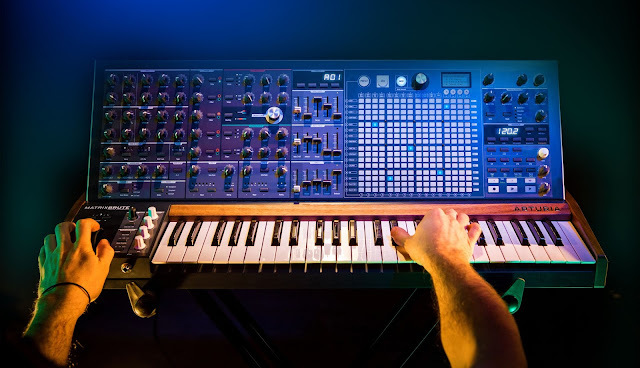 Analog has become a huge standard in the past couple of years, and so many other synth companies have jumped on the bandwagon, so to speak-- Novation has the Bass Station II, Korg has the Volca line, Arturia jumped from pure digital lineage to the analog world. The people crave the sound of analog, whether they think they know that it is or not. So how can digital Rolands, which seem to be marketed at the same consumer base, make a splash? My hope is that the fact that Roland is a big enough company with good enough R&D to find a good enough way to code all of this rich analog lineage into a chip inexpensive enough to shell out the AIRAs at a bargain. The knobs and case are pretty much what you'd expect from a Korg or Arturia, so Roland is fighting on the inside, and it seems like a really tight race, considering there is a $300 MicroBrute out there. Roland is trying to outsmart the industry with the AIRAs-- they've always said that they refuse to go backward, and always want to look forward to new technology. The AIRAs are in some way a contradiction of that, but in the true spirit of looking forward. Can the coded version of analog circuits beat out true analog competition? What would you pay for an AIRA? I can only think these stand a change if they're at the $300 level. But I am hoping for the best-- the AIRAs look like a great design from the outside, and if they sound good and are fun to play, they might just restore some faith in the former synth giant. Be sure to check out some videos below on the AIRAs and ACB. Now that we've seen more of Aira, there is no denying that they might be amazing....iam going grab a system-1 or sure! I hoped roland would make a small digital super synth, and it might be.